The 5 preferred locations mentioned here will be available on opening and saving files throughout MusiCAD and represented by the big buttons at the left side of open/save dialogs. It is possible (desirable) to make use of macro's. 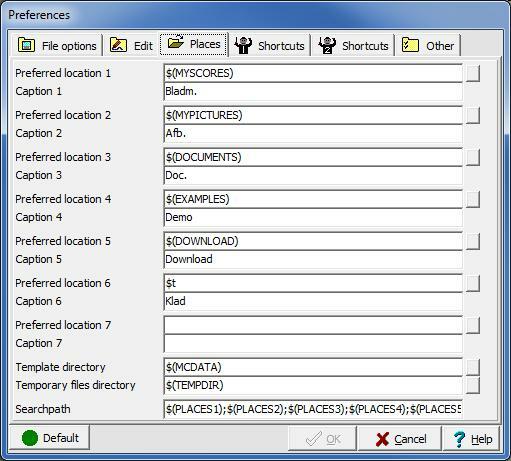 The template directory is the location where templates (both score templates and layout templates) are expected.